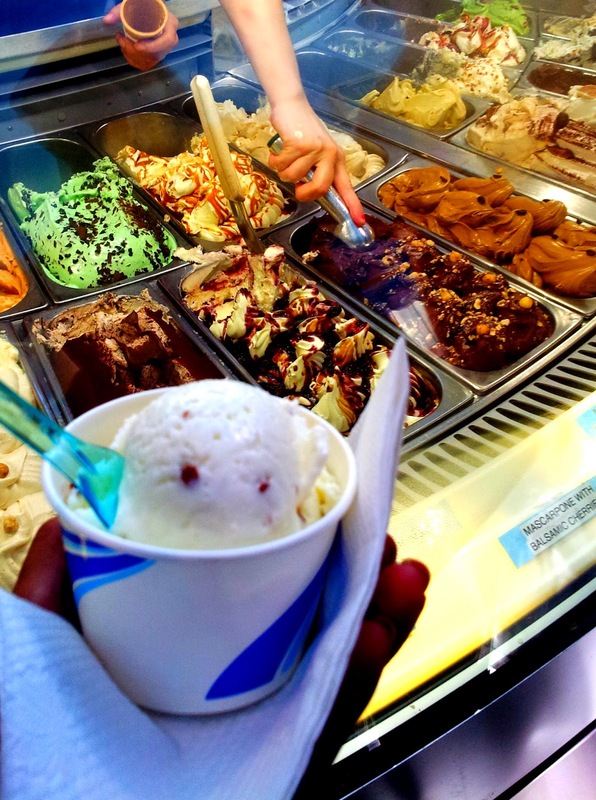 When in Newtown, my go to gelato joint is Gelatissimo but I noticed on Urbanspoon, Gelato Blue had a higher rating so thought I'd check it out for myself. 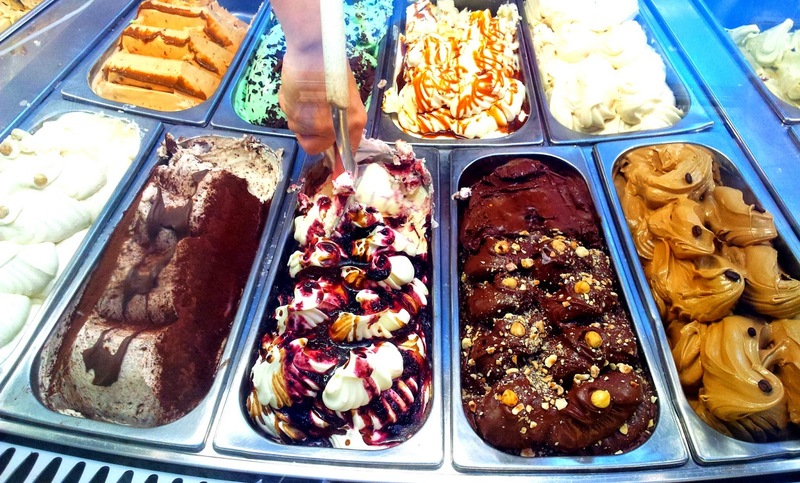 Gelato Blue has a large range of flavours, including some more unusual ones like sweet potato and pavlova. They also had some other tempting sweets like chocolate baklava, chocolates and waffles. But since it was gelato that bought me there, I ordered myself a scoop of white coconut and almond gelato. It was nice and wasn't too heavy, which was exactly what I needed, but my mum's hokey pokey gelato did give some order envy,as it was tastier. What I really liked about Gelato Blue was the seating area upstairs, which was a nice space to sit and eat your ice cream while you catch up with friends and family. As for flavour and price, I would say its on par with Gelatissmo (although they didn't have some of my favourite berry flavours) so if you are looking to broaden your gelato horizons, I would recommend Gelato Blue.